Last year was a big year for me. 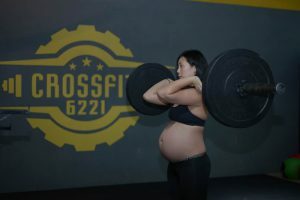 A couple of weeks after CrossFit 6221 opened, I found out that I was pregnant. 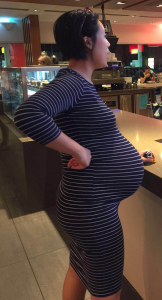 So, for many of our members, in the past year I have been known as the pregnant coach. 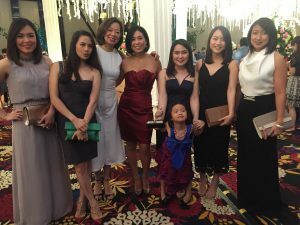 It wasn’t an easy period for me personally, especially during the time I was not yet public about my pregnancy, my physique didn’t look like a typical fitness coach’s body. In addition, as my tummy grew bigger, it was difficult for me to demonstrate some of the movements when I was coaching. Fortunately, I didn’t let all of those obstacles stop me. I continued to coach and train throughout my pregnancy. It wasn’t easy, but at the time I really believed that if I continued training and keep being active, it would help me during the delivery. Hard work paid off!! I delivered a healthy baby girl in March this year, and my natural delivery went very smooth. The midwives were also amazed to see I was able to sit up and walk immediately after the delivery, when usually it would take a few hours, sometimes days. I definitely owe that to CrossFit. I took three months off from CrossFit and coaching to properly recover. I wanted to make sure I was ready both mentally and physically. Lack of sleep does funny things to you! Three months had passed, then I hit it hard. Since then, I’ve been keeping a pretty rigorous training routine while I’m still breastfeeding. I CrossFit 3-4 times a week and run or kick boxing once a week. I also started coaching again. Every morning I brought my daughter to the box, so I can breastfeed her in between sessions. I was also forced to cut out a lot of processed junk from my diet because of my daughter’s sensitivity to gluten. Definitely a blessing in disguise! Now 7.5 months in, I’m finally getting to a point where I feel I am happy with my progress. It is a shame that women always feel so pressured to bounce back to pre-pregnancy weight immediately. It takes 9 months to put on 17kg or more. So, it is unrealistic to expect that we should shed the excess weight in one month. I really believe that it’s more sustainable and healthier for your overall wellbeing if you maintain a healthy lifestyle (nutrition and exercise). You will definitely see the results and feel great! In addition to trying to lose weight and getting fit again, I also have to work on gaining my core strength back, which I lost after the delivery. Lack of core strength affects so many lifts. I haven’t been able to lift as heavy as I used to before my pregnancy. Me in the red with all the lovely girls from our box. Slow but sustainable progression is much better than forcing your self to lift heavy and risk getting injuries in the process. Just do what feels right for your body, and slowly build up the strength again. This is what we always advise our members in the box. Thank you everyone at CrossFit 6221 for cheering me on and believing that I could “bounce” back! I’m not quite the yet…but it’s a journey that I’m enjoying to be strong and fit again.